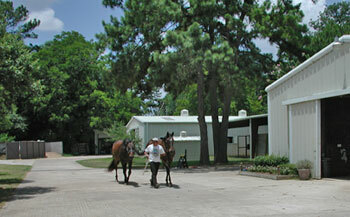 Grand Oaks Farm is conveniently located in Cypress, Texas, approximately 3 miles North of Highway 290. We provide full board (no partial boarding), lessons and training. Copyright 2005 Grand Oaks Farm LLC. All rights reserverd.